Welcome to another issue of our monthly bulletin! 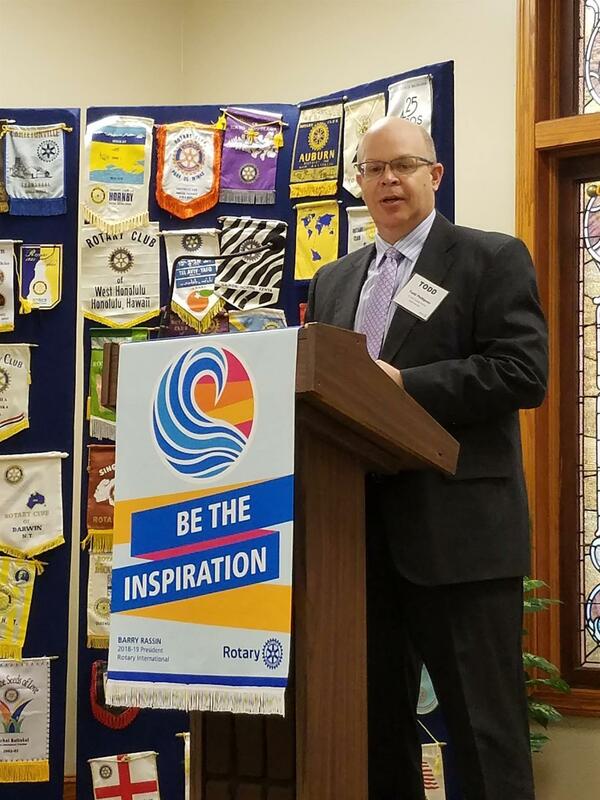 Find out who our upcoming speakers are, what we covered during the last month's meetings, and learn more about our the Rotary Club of Steubenville and Rotary International! As you have become aware, I love history. April 14th was a big day for disasters and one of the best days of my life. The latter being that my daughter was born on that day in 1983. However, I tease her frequently about all of the horrible things that happened on April 14th. In 1986 the heaviest hailstones ever recorded hit Bangladesh. The lumps of ice weighed about 2.2 pounds. The hail stones were the size of softballs. A total of ninety-two people reportedly died as a result. April 14, 1935 was Black Sunday. A severe sandstorm ravaged the US Midwest, creating the "Dust Bowl". Days later, dust from the storm settled on the decks of ships 100 miles out in the Atlantic Ocean. In 1912 the doomed passenger liner RMS Titanic hit an iceberg in the North Atlantic. The subsequent sinking of the world's largest ocean liner of the time resulted in more than 1500 deaths. It was one of the worst peacetime maritime disasters in history. In 1865 U.S. President Abraham Lincoln was shot. The assassin, John Wilkes Booth, wanted to revive the Confederate cause, mere days after their surrender to the Union Army, bringing the American Civil War to an end. Lincoln died the next day. More suicides occur in April than any other month of the year. It is theorized that people get depressed during the winter and think that their lives will get better when the weather breaks. Unfortunately, many people’s depression doesn’t improve. April may have been a bad month for some folks, but it is my favorite; thanks to my daughter. The Women in Rotary Committee have been hard at work! 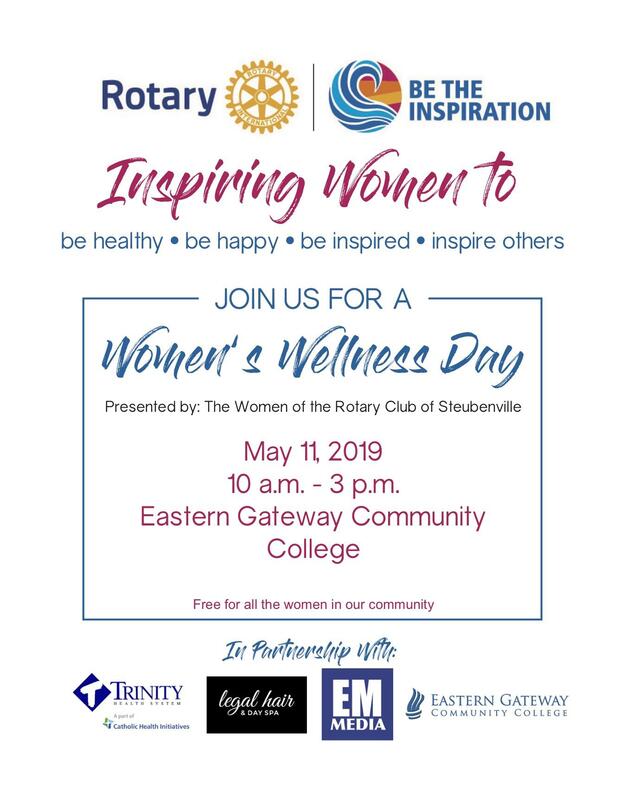 Join us May 11th for an afternoon dedicated to women's health. 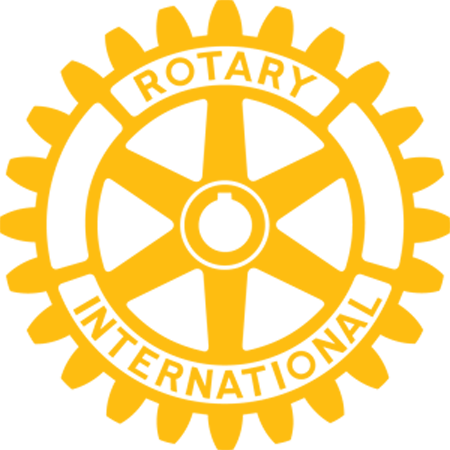 For sponsorship and vendor opportunities, please click here. Rotary Club of Steubenville is on a mission. We want more members! 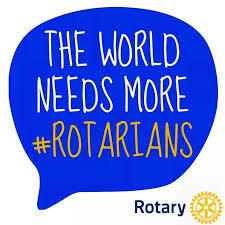 Do you know someone who would make a great Rotarian? Don't know how to get them to join? Bring them as your guest or submit their name to the membership committee. Mike Mehalik presented Aaron Bracone, from the PALS program. PALS is an adult day service available through the JCBDD. Sycamore Youth Center. Bauman shared updates of the new center and exciting plans for their future. Pat Fletcher presents Todd Phillipson, Superintendent of the JC Joint Vocational School. Our fellow Rotarian gave updates on available programs at the school.